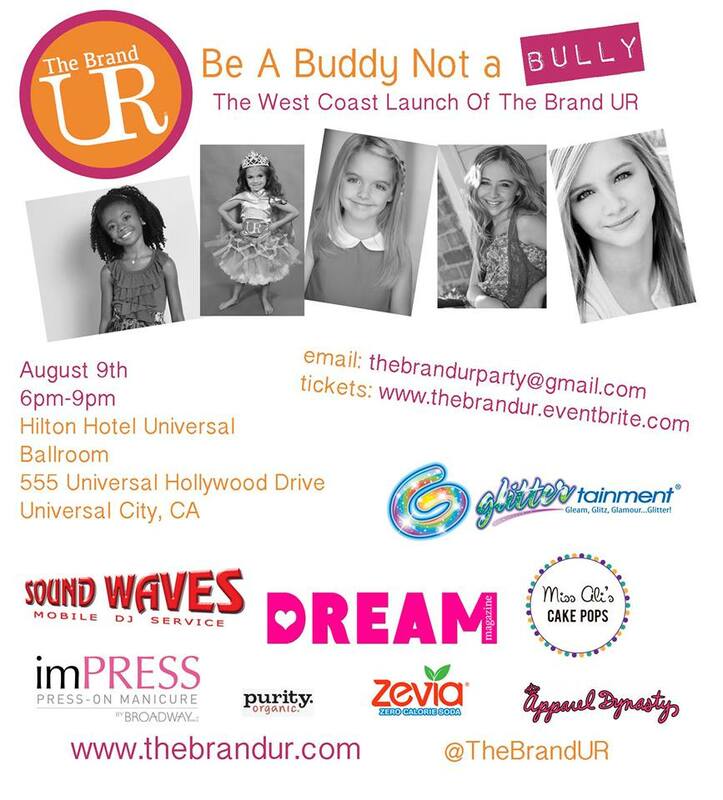 On August 9, 2013, The Brand UR will be coming to Los Angeles for an official red carpet launch party! 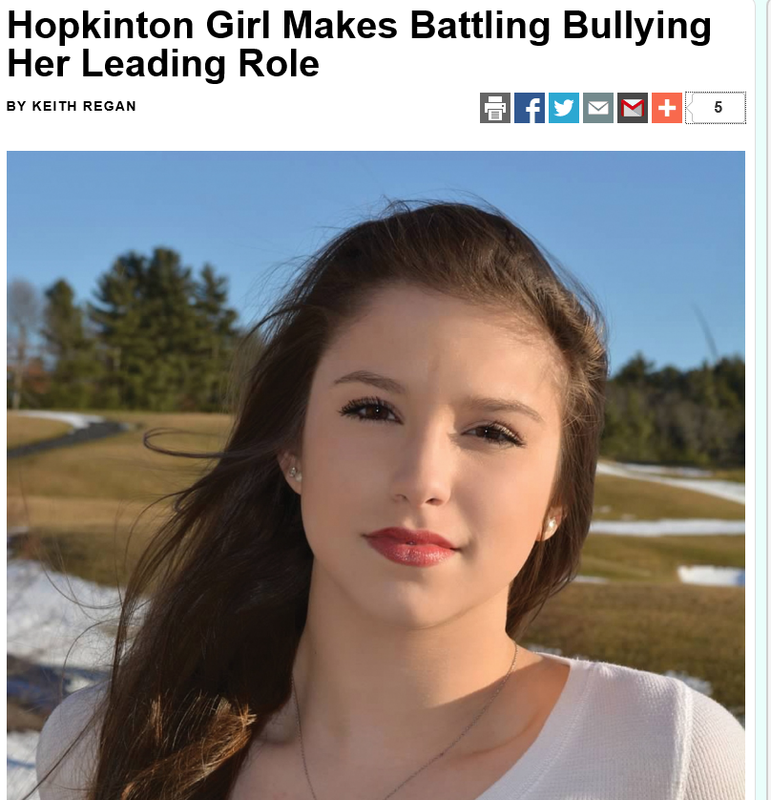 What started as a small organization in the town of Carver, Massachusetts, is now spreading nationally! Below is some information on celebrities and sponsors, but don’t think that’s all! We love surprises and if we told you everyone/everything involved, there’d be none! Each ticket holder will get to enjoy food, drinks, music, performances, a photobooth and Glitter Tattoos. Each ticket holder will also be going home with a VIP giftbag worth up to $150 each! Spokespeople Ashley Tramonte, Paisley Dickey & Addison LaFountain will also be speaking at the event and sharing their stories! Celebrities Expected: Asia Monet Ray (DANCE MOMS), Paisley Dickey (THE BRAND UR SPOKESPERSON and TODDLERS & TIARA’S STAR), Mollee Gray (TEEN BEACH MOVIE), Sophia Lucia (DANCE MOMS), Sabrina Carpenter (Girl Meets World), Mckenna Grace (Crash & Bernstein), Skai Jackson (JESSIE), Jordyn Jones (Abby’s Ultimate Dance Competition), Lauren Suthers (Singer), Isabella Palmieri (Good Luck Charlie), Ashley Tramonte (Grown Ups 2), Kenton Duty (Shake It Up), Katherine McNamara (Kickin It, Glee), Amber Montana (The Haunted Hathaways), Ella Anderson (ANT Farm), Aedin Mincks (ANT Farm), Dylan Riley Snyder (Kickin’ It), Camryn (SINGER), Malia Tyler (GRANITE FLATS), Katie Silverman (HAPPY ENDINGS) and many more announced soon! SPONSORS: Dream Magazine, Miss Ali’s Cake Pops, Sound Waves DJ, Purity Organic, OPI Nailpolish. Glittertainment, Snikiddy Snacks, Pretzel Crisps, KISS Impress Nails, Apparel Dynasty, Chopper Kisses, ZEVIA, Pirate’s Booty and many more to be announced! Since I can’t be there in person (due to a schedule conflict) I created a video that will air at the party. I am excited to help contribute to this wonderful cause. We filmed a new video on Friday, August 3, 2013 to be released nationally soon. 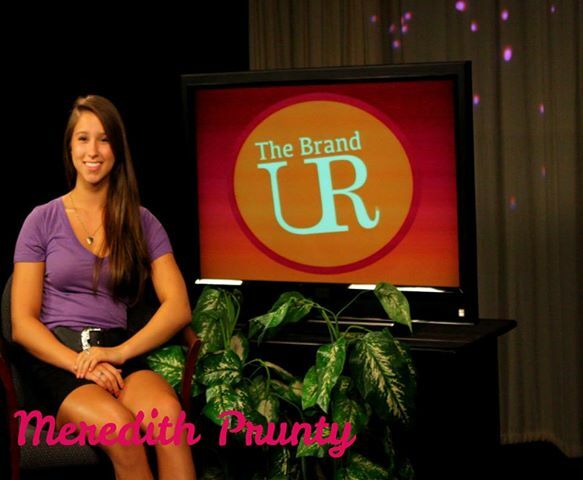 This picture is taken in the HCAM studios by Mike Torosian. 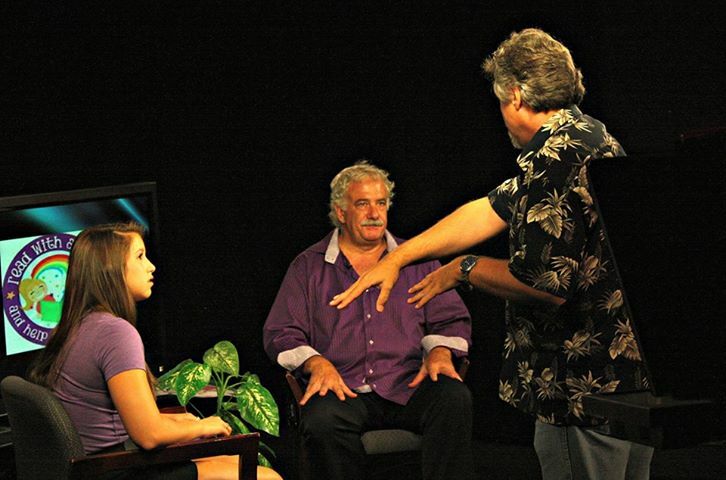 Video Producer Perry Lawrence gives direction to Hopkinton High School Senior and Anti-bullying Advocate Meredith Prunty for an interview with Michael McCann, author of “PURPLE UMPKIN”, the first in a series of illustrated children’s books which proceeds go to his charity Read with a Child and Help Feed a Child. Check them out at http://www.read-feed-child.com and help support a great cause!